I love that this item comes with it’s own custom designed table. You can use it on the grass or any hard surface. The table sits at the perfect height for all players. 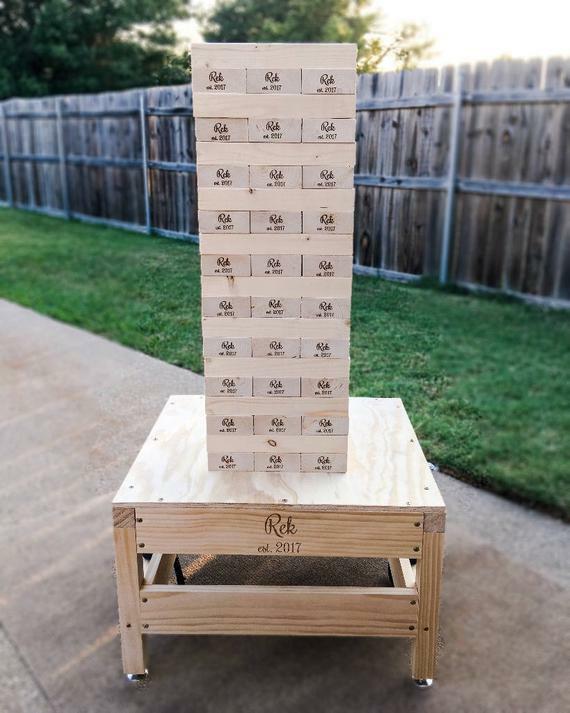 You do not have to worry about reaching the top blocks. All ages are able to play. This game can be rented alone or it can also be used with our connect four, any of our sports games, bowling or other giant games like Malpractice. Kids and adults will enjoy playing these popular games. Make your party the talk of the town with this versatile game for all ages.